Get a personalized copy. Great as a gift idea for any fan. Be sure to include how you want it signed. Select your option below. Continental US shipping only, International Customers please click here. 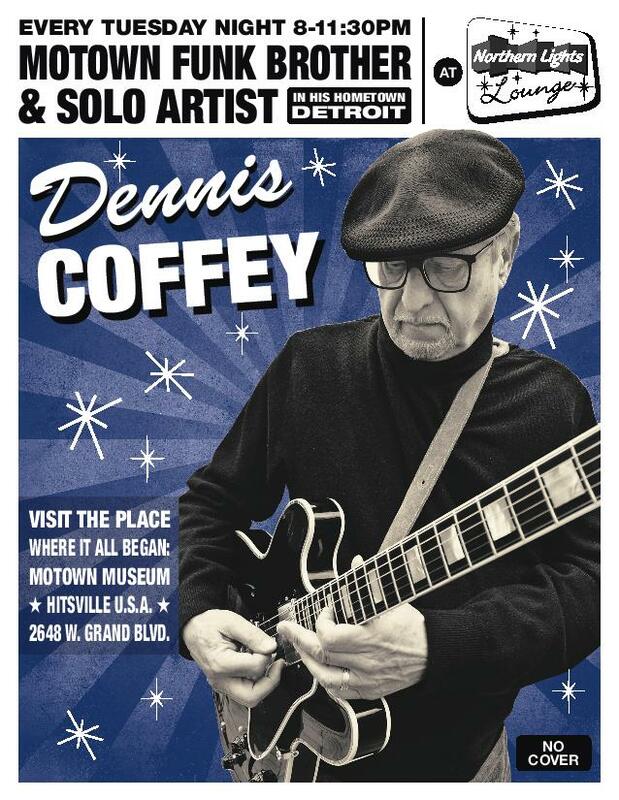 See Dennis Coffey Every Tuesday Night! According to co-owner Michael Solaka, the diversity tagline is the house recipe. On one side of the room there is a dance floor between the stage and a softly lit dining room filled with leather button-tufted booths and long tables. On the other side is a colorfully lit and decorated bar beside a small lounge of orange square chairs surrounded by matching dimly lit orange lights, wood paneled walls, and a shuffleboard table. Essentially, it’s a time travel portal to a 1970s basement. 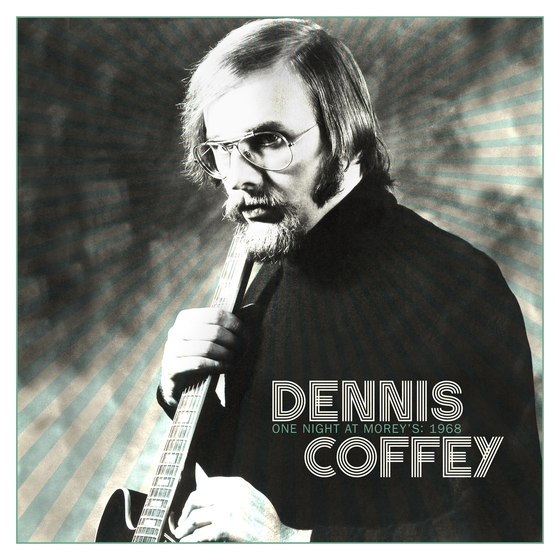 Dennis Coffey jazzing it up to a local electronic DJ breaking it down. 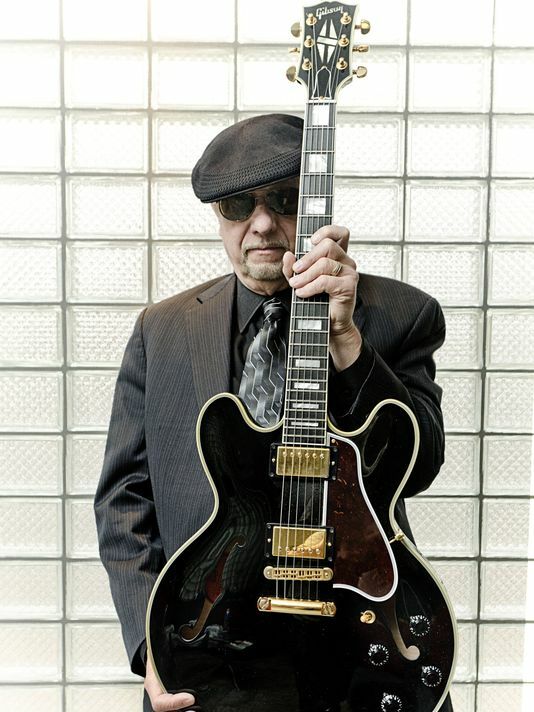 On Tuesday nights, former Funk Brother and recent rhythm and blues Hall of Fame inductee Coffey, 76, and his R&B band fill the house with funk, blues, and jazz tunes from every facet of his long-listed and historic discography. Coffey has his work down to a systematic process. He very quietly checks in with the band, sets up his gear, pours his own cup of coffee and sips it while sitting with friends. As the set takes off, Coffey’s weathered Gibson guitar screams while he stands planted in one place. 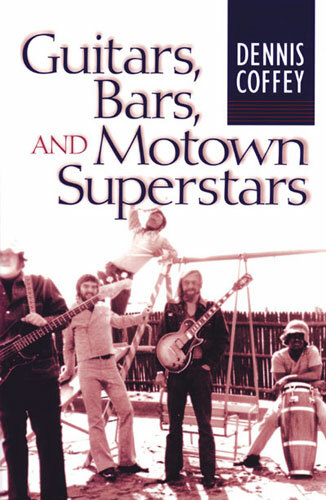 The band behind him is modest, filling in flair from time to time—but mostly letting Coffey rip his muddy Motown licks. Drummer Julian VanSlyke and bassist Ken Pesick consistently hold down the rhythm, while Phil Whitfield’s organ compliments Coffey’s conversation with the audience. Between songs, Coffey shares nostalgic nuggets of backstory, like, “We’ll do a song I recorded back in the day with The Temptations,” or he’ll share a memory of songwriting with Stevie Wonder. Although Coffey is a seasoned veteran at his craft, he continues to progress through his weekly visits to Northern Lights. “By playing every week, once a week, it’s a gig, but it’s also almost like a workshop for me because I get better all the time so I experiment and try new things within reason,” Coffey said. For him, music is more than just chords and melodies. 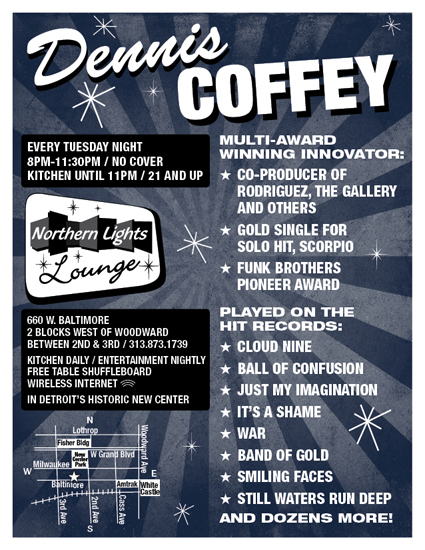 Coffey has been playing Northern Lights consistently for eight years now. He and Solaka met through the Comerica TasteFest, later known as CityFest, which was a more residential precursor to Arts Beats & Eats for New Center. The two stayed friends after the festival fizzled. Solaka credits the festival as he and his partner William Steele’s image building, planning and marketing tool for New Center. He considers Northern Lights a diorama of the festival. The aforementioned patio is a big draw for most regulars. The outdoor patio at Northern Lights is a sunny and dog friendly sanctuary for many to unwind from the workday and share laughs with familiar faces while they wait for traffic on the Lodge to die down. The staff and the patio are what keep Melinda Johnson coming back two to three days a week. “The customer service with Sam [in the kitchen] and Ryan [behind the bar] is just amazing,” Johnson said. Every time an employee walks out to the patio from the kitchen or bar inside, frequent customers like Melinda are shouting out their names and exchanging fist-bumps, kisses, and laughs. I wonder: What did they do to “make sure” that they had the “proper blend of folks”? I would ask Solaka that question. © 2019 Dennis Coffey. All Rights Reserved.